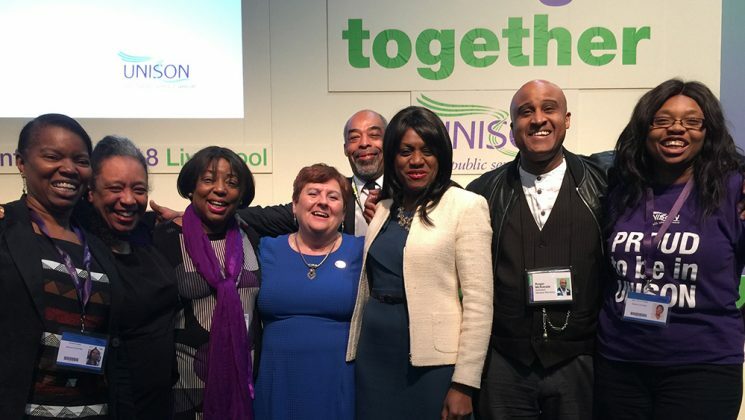 “I can feel the love – and it’s energising me.” For former president Eleanor Smith, now the MP for Wolverhampton South West, it had all the emotion of a homecoming. 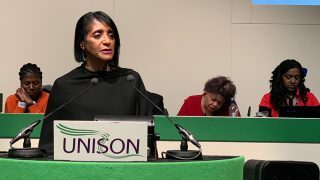 Addressing UNISON’s Black members’ conference in Liverpool this afternoon, she started by stressing her thanks to and love of UNISON. 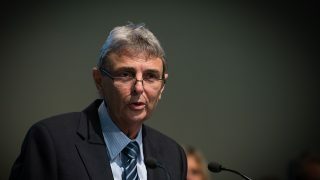 And her message to delegates was that UNISON is there for them too and can help them to achieve what they want. In keeping with a spirit of remembering history that permeated conference, Ms Smith sketched out her own story, beginning with her parents’ decision to leave Barbados for the UK – inspired by a presentation given in the West Indies by Enoch Powell, whose seat in the Commons she now occupies. Settling was not easy, with the family meeting a degree of hostility that they had not expected. Ms Smith stresses how important her parents’ generation believed education to be. 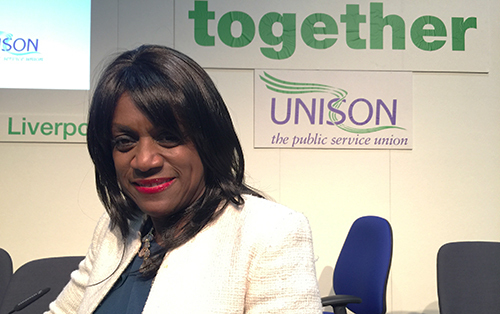 She worked hard to became a nurse and joined Cohse, one of UNISON’s predecessor unions. 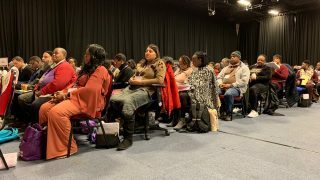 But as had happened to many a Black nurse before her, when she became pregnant, she faced a pay and grading review that sought to move her down grades. In UNISON by then, with the union on her side, she fought back. Her appeal worked. And she was encouraged to become a rep.
“Under the umbrella of the union, you can make a difference,” stressed Ms Smith. 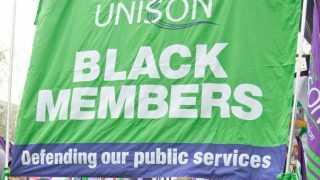 The union also helped her become involved in wider politics. No matter the challenges you face, don’t let it stop you from doing what you want to do,” Ms Smith urged them. And Labour’s 2017 manifesto had given people hope that there could be an alternative to life under austerity. “There is another way” … and, “once you give people hope, they can move mountains”. 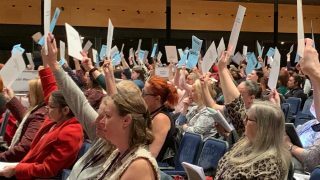 Praising Labour leader Jeremy Corbyn for understanding working people, she encouraged delegates to both spread the word and to themselves become politically active in their own communities – getting involved with their local Labour Party to build that hope for change and then change itself. And she concluded with a final ‘thank you,’ before leaving the rostrum to a standing ovation.